The purpose of this study is to examine cross-national data in order to identify possible factors related to the observable patterns of Mobile Virtual Network Operator (MVNO) penetration. For this purpose, a mobile market structure is analyzed considering important economic factors related to the penetration of MVNOs. MVNOs have gained popularity in the Western markets, but have a dismal track record in non-Western regions. In comparing the different regions, this study analyzes how the MVNO market has changed and what opportunities and/or threats network operators and potential MVNO entrants are likely to face. This study conducts an economic assessment of market structure and environment for different countries’ MVNO penetration. The data on market structure is analyzed by means of cluster/factor analysis techniques in order to group countries according to their market environments. Then, regression equation analysis is used to investigate the relations of MVNO penetration and independent variables. The results show that MVNO penetration significantly relates to market structure and performance. These results also imply an appropriate policy to promote MVNO diffusion. 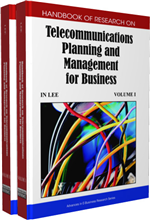 Recent emerging telecommunication technology drives fundamental changes in the way the mobile industry does business. The ability to utilize emerging technology to offer a differentiated product or service experience to the mobile customer has become a key competitive advantage. Along with these benefits, technology has brought with it several challenges, including much more sophisticated and better informed customers, as well as the lowering traditional barriers to market entry. Most of all, emerging technology has a disruptive effect on mobile industry, which is best illustrated by Mobile Virtual Network Operators (MVNO): MVNOs are taking significant market share, changing supply chain of telecommunications, and are increasing churn and subscriber acquisition costs in mobile markets. Also, because many MVNOs have focused on offering discounted services, they have increased price competition and lowered ARPU (Average revenue per user).1 A compelling question is how MVNOs have impacted the way markets are structured. Specifically, how MVNOs have altered existing business strategies and created new business models. These questions become more interesting with the trend that MVNOs have gained popularity in the Western markets, but have a dismal track record in non-Western regions. RQ1: What are the market factors affecting the penetration of MVNOs? RQ2: Is the penetration of MVNOs related to market structure? When looking at the emerging MVNO phenomenon, there may be two approaches: (1) from the perspective of the MVNO itself, in which the features for its sustainable business development are researched; (2) from the perspective of the overall mobile market and industry, in which the relation of MVNOs to the market should be analyzed. The present study takes the second approach in order to analyze MVNOs from a broader perspective by relating MVNO penetration and market structure: (1) 28 countries of the EU and the 2 countries of the Americas representing the West, (2) 17 Asian countries representing the East, and (3) 21 countries of Latin and South America are collected. After collecting data on market and industry from these groups, cluster and factor analysis are used to summarize patterns of market structure in the mobile industry. Each factor is characterized by a set of coefficients expressing its correlations with the observed variables. The variables are assigned to the factor with which they are most loaded. As a result, the market structure indicators are split into disjoint sets, with each indicator associated with a single factor. The estimated factor loadings applied to the country-specific market structure indicators make it possible to score countries according to each of the factors, so that rankings of countries can be obtained in terms of factor-specific scores. It is standard practice to retain a number of the factors which cumulatively explain a substantial part of the overall covariance. A multivariate regression model is developed to evaluate the effects of market variables on MVNO penetration. ARPU (Average Revenue Per User or Average Revenue Per Unit): This term is used by telephone carriers. This term has also become widely used in other industries including consumer Internet service providers. It is the revenue generated by a customer phone, pager, etc., per month. MVNE (Mobile Virtual Network Enabler): A MVNE does not have a relationship with end-user customers. Instead, a MVNE provides infrastructure and services to enable MVNO’s to offer services and have a relationship with end-user customers. Herfindahl-Hirschman Index (HHI): A commonly accepted measure of market concentration. It is calculated by squaring the market share of each firm competing in a market, and then summing the resulting numbers. The HHI number can range from?close to?zero to?10,000. Vertical Market: A vertical market is a particular industry or group of enterprises in which similar products or services are developed and marketed using similar methods (and to whom goods and services can be sold). Horizontal Markets: Two markets are horizontally related if the two goods in question are substitutes or complements in production or consumption. Vertical Integration: A style of ownership and control. The degree to which a firm owns its upstream suppliers and its downstream buyers determines how vertically integrated it is.